I hadn’t been to watch a game at Wymondham for a couple of years and after the rain and snow of the previous week I had doubts that there would be a match to watch on Saturday. But having posted my concerns on social media it didn’t take long for someone from the club to confirm that the game would go ahead. Wymondham is a well organised club with plenty of volunteers willing to help out, something that Gary Lee, chairman of the day’s opponents Thetford, enviously congratulated them on after the pre-match lunch. Despite being based in a small town south of Norwich, Wymondham has a reputation for producing competitive youth teams with a steady stream of players being chosen for the Leicester Tigers Academy. 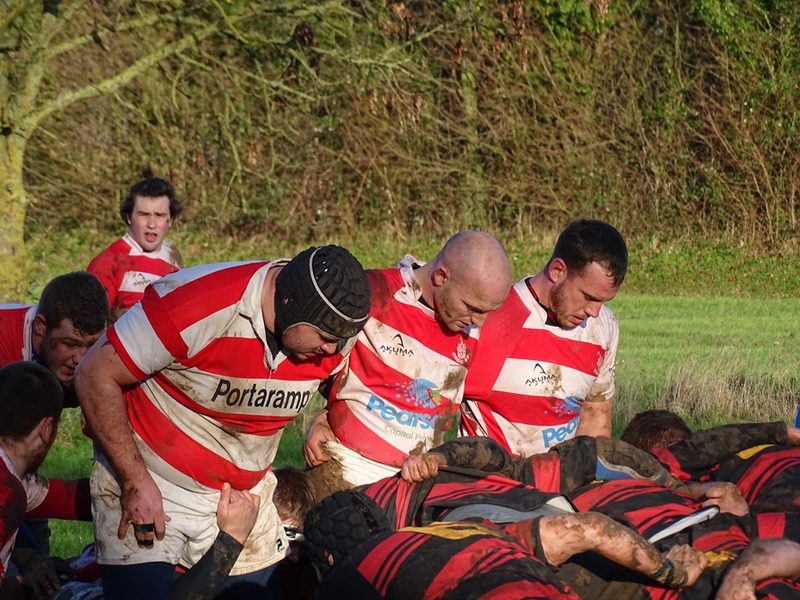 Although some return after gaining invaluable experience of top level rugby, others choose to try their luck at local clubs higher up the leagues, which may explain why Wymondham have remained at level 8 or 9 in the structure. My relationship with the club goes back to when the age group I coached at Colchester played sides coached by John Mackay and Martin Crook. We shared similar philosophies about the game and the importance of development over results and it was no surprise that both of them became club chairmen. They have gone on to serve the wider rugby community with Martin currently President of Norfolk FU and John chairing the Eastern Counties Competitions committee. I have continued to be involved with Wymondham as chair of the ECRU Facilities committee. For many years the club has tried to move from a site that has a modest-sized clubhouse and two pitches and struggles to cope with three mens sides, a womens team and countless minis and youth on a Sunday, although renting a couple of nearby pitches has helped. Speaking to President Peter Barry he is confident that the move to a much bigger site less than a mile away will happen, it’s just a case of what they will be able to afford to build there. Whatever is eventually provided on the new site it will be immeasurably better than where they are now. Although I hadn’t been to a game for a little while, I have been lucky enough to attend three of Wymondham’s now legendary Fundraising Dinners. The first one I had been to was in 2013 when more than five hundred guests gathered in a marquee at the club on a Thursday night in May to listen to Stuart Lancaster and Iain Robertson along with the RFU President. Since then speakers have included Ian McGeeghan and Will Greenwood and this year they have secured Nigel Owens and Jason Leonard, a dinner well worth attending if you can, and it has become the largest sporting dinner in the East and one of the biggest in the country held by a grass roots club. As for the game, the pitch was playable but the conditions weren’t easy with both sides struggling to hang on to a muddy and slippery ball. It was Wymondham who took control in the first half with three tries and a fourth soon after the restart to take a 24-0 lead, but Thetford scored two converted tries and threatened to stage an upset. 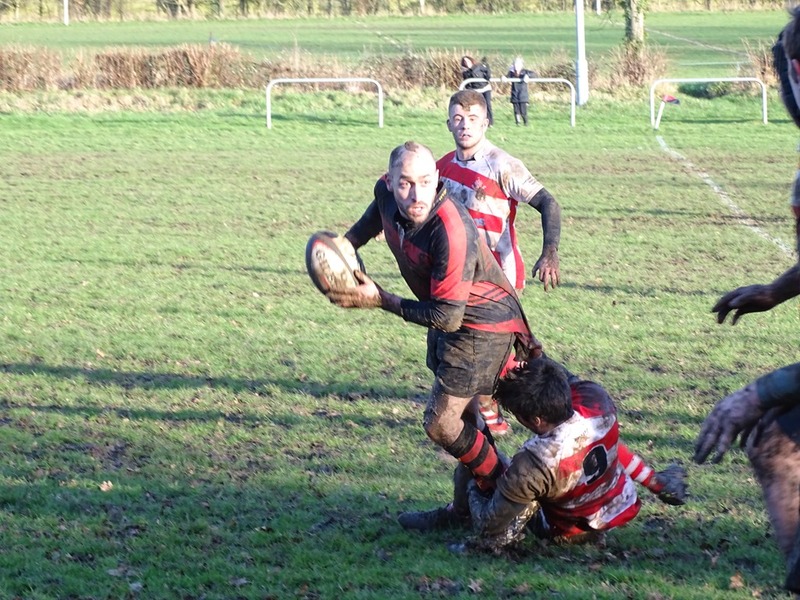 However, there were no more tries and Wymondham won 27-14. As ever, I left for home having had a very good day and with the feeling that once the club moves to a new ground with facilities able to cope with all those that want to play there, Wymondham Rugby Cub could challenge the traditionally strong clubs in Norfolk to become a dominant force in the county on Saturdays as well as on Sundays.